This modules by Librasoft Allows you to make your shop private with an ajax popup. 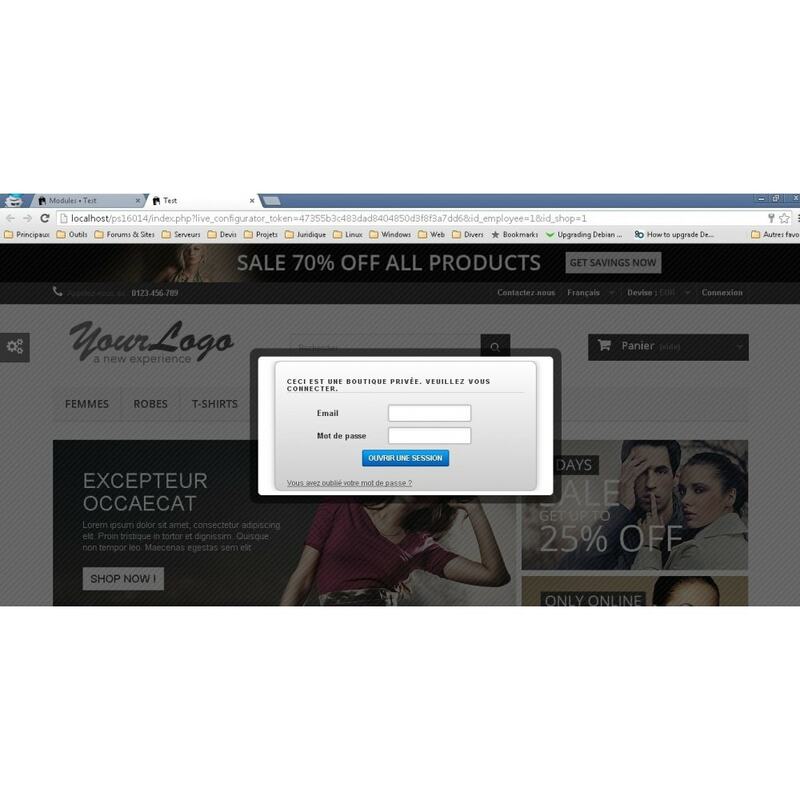 This module developed by LIBRASOFT allows you to make your shop private with an ajax popup. Each user will have to login before accessing the shop. 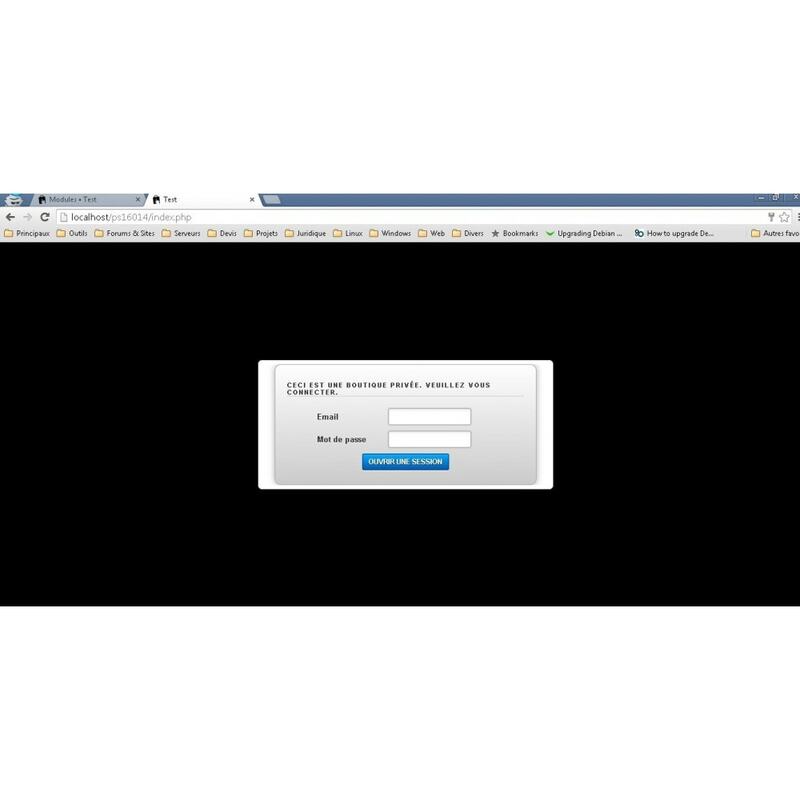 A pop-up will appear until the user login. In the background the user can see what type of shop it is, but this is not accessible to him. In this way, you don't loose users that don't want to make a subscription without knowing for what kind of shop they might subscribe. Moreover, in opposition to others modules making a shop private, this one is SEO compliant. Indeed, the shop is targetable by Google and others search engine. Share files (PDF, text, pictures) or external links with your customers directly into their customer's account. 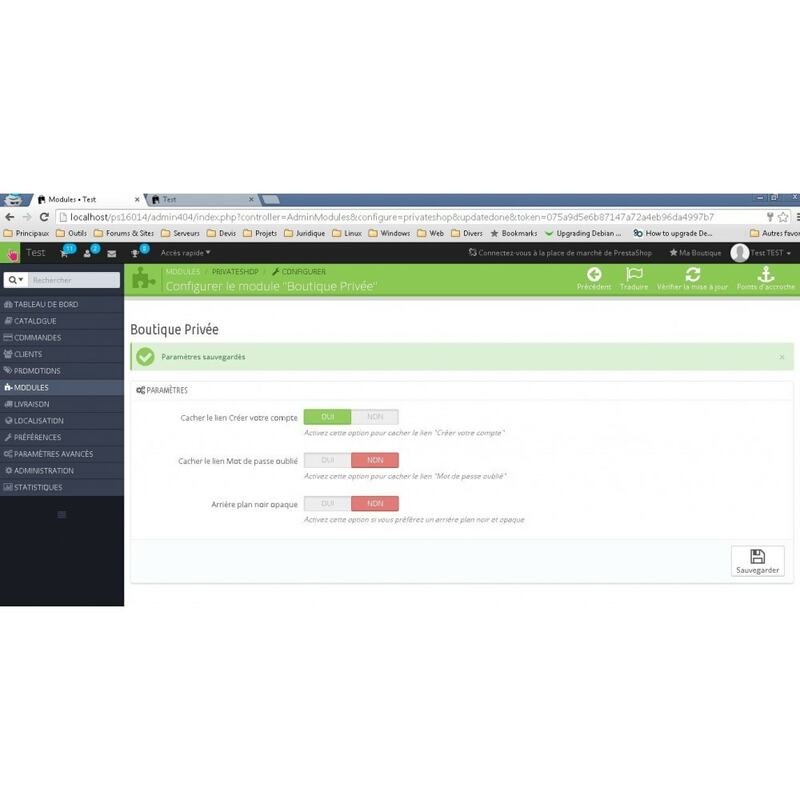 Choose a given customer or a customer group and let the module send emails. Unzip the file and copy the folder /privateshop in /modules. Use the functionality of PrestaShop: Add a module from my computer. Go to your administration panel, then Modules. Look for the module Private Shop (in Front Office Feature), and click on install. That's all, more detailed documentation is included in the module folder.